So, I planned to not blog today and just combine it with tomorrow’s post, but so much happened that I needed to give it its own day. Dang, my vacation from the blog is over. I ended my last post with my leaving Australia after a packed 23hr layover in Sydney. I flew further eastward to Auckland and lost another 2hrs of time to now bring me to 5hrs ahead of Perth. Basically losing 5hrs in the last two days has made these days go by quite quickly and my body doesn’t know what’s going on with sleep. It will work itself out eventually. I got into New Zealand close to 11pm and had a situation going through customs. I had heard NZ is super strict and that they especially don’t want any dirt on hiking gear brought over from Australia. I need to honestly claim all of the questionable stuff or risk having it confiscated if I don’t. I still risk it even if I do. I cleaned all the obvious culprits including my shoes, hiking poles, and tent stakes. I was lucky to get a chipper young guy going through my stuff. He was pretty thorough and had me take my tent out of my pack. I hadn’t really considered the tent itself as it hadn’t been in mud recently. I held my breath as he pulled it out and looked it over in detail asking me where it had been. Then he spotted a spider INSIDE the tent! It has been like five days and a spider was still alive in my packed tent! He immediately named the spider and scooped up the tent and rushed it behind the security doors. My stomach dropped thinking it was a goner. Not my tent! He returned a few minutes later to thankfully return the tent and he also brought a sterile container with the stowaway white-tailed spider inside for me to see. 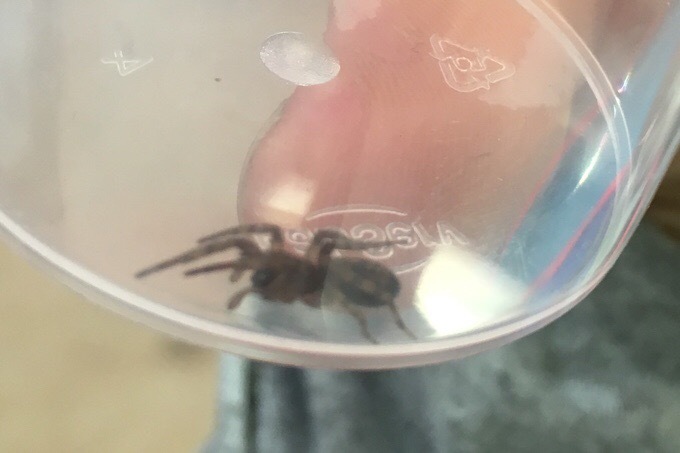 It is a white-tailed spider that will leave a good bite if it does choose to do so, but it won’t cause major health problems. The security agent was pretty proud of his find and I was just relieved to have my tent. I am also frightened of what else may be in my tent or sleeping bag crawling around. I do want to talk briefly about the visa process for NZ. If you are planning to hike the TA, apply early! They will ask for a ton of information and proof of financial independence to ensure that you aren’t going to end up staying for good. They even want to see proof of your flight out of the country. I’ve heard of hikers not aware of this requirement who are put on the spot without a return ticket and have to buy one at the last minute just to be allowed into NZ. Some buy a ticket and do the 24hr return so they can print out a confirmation to have to show officials. It’s a personal choice, but an option I’ve heard works. I was kindly picked up at the Auckland Airport late on a weeknight by Claire, a friend of one of my sister’s friends. It was quite nice of Claire to host me as she is quite busy with her work with the city right now and I’m a total stranger. 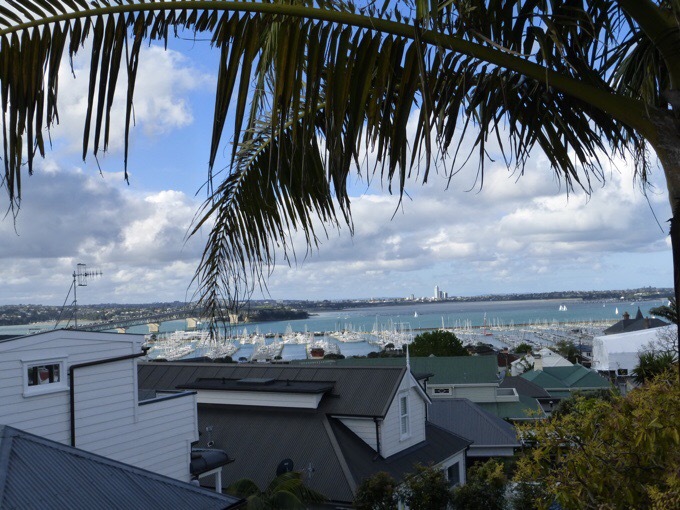 Since Claire and I only saw one another briefly late at night and early in the morning the two nights I spent in Auckland, I didn’t have a good opportunity for a photo, but I was able to get shots of the stellar view I had sleeping in the main room. 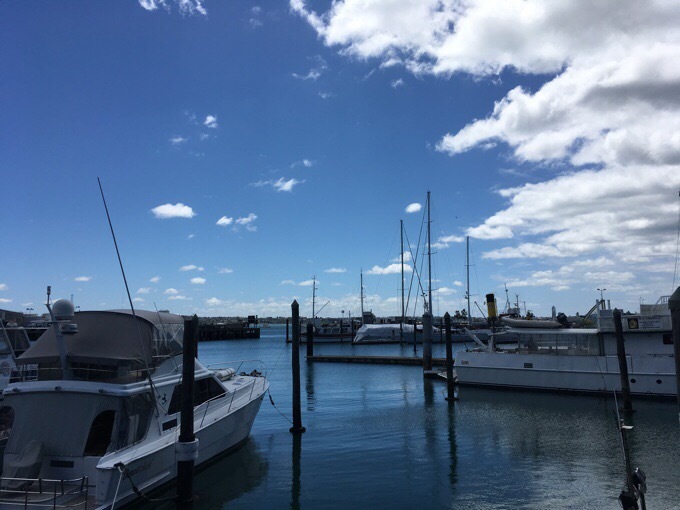 Auckland is quite a major city with two harbours around it. 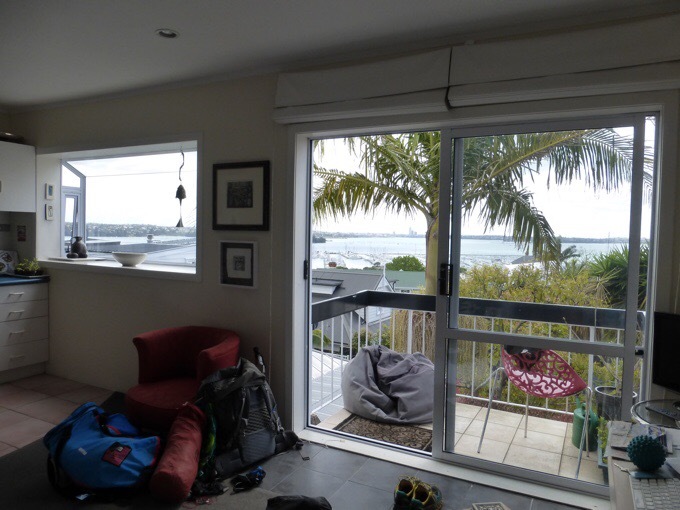 Claire’s apartment overlooks downtown, the bay with many sailboats, and Auckland Harbour Bridge. I could totally live here with this great view! I know I’ll complain about the rain someday soon, but I just love the clouds! 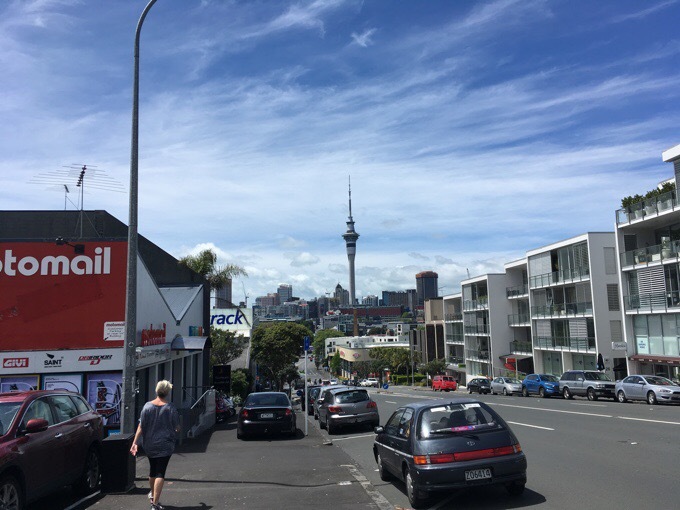 THANK YOU to Claire for letting me stay and I will be sure to get a photo when I return in a few weeks since the Te Araroa goes right through Auckland. I needed to walk downtown to the visitor centre to get a 6 month hut pass from the Dept of Conservation for many of the huts that will be along the TA. Most of the huts will be on the South Island and some are in the North Island. 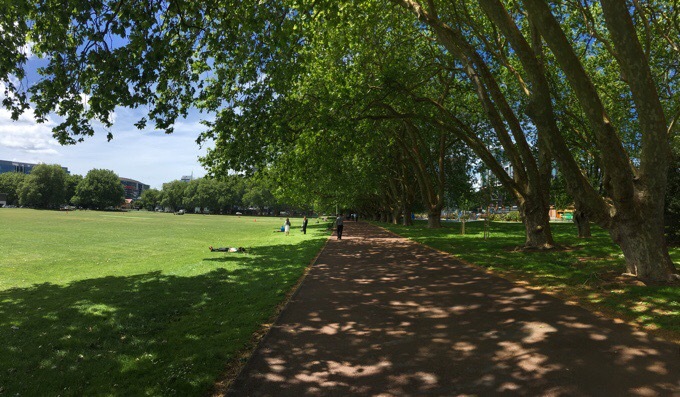 They are fully enclosed and quite popular as weather can change with no warning out in NZ, and it can be extreme. Looks like I’ll be having some interesting experiences with some packed huts…The walk downtown was great. There was a ton to take in with that really big city traffic, buildings, and happenings. A harbour near the visitor centre. Some of you may recall that I started my US summer off 4.5 months ago hiking with Why Not and Rockin’ on many of the high routes in the US. On the first day that we met up, Why Not gifted me $15 of New Zealand cash. Why Not did the TA last year and her journal is the main one I’m looking to for a heads up on what’s to come. Already, I’m finding her notes really helpful. Knowing we have similar endurance and temperaments for discomfort, I know that I’ll really relate to much of what she says. I’m also looking at Buck-30’s TA journal as I go. Buck-30 did the Te Araroa in 2011/12 just one month after it became a complete trail. Much has changed since then, but his stuff is always entertaining, and for the years that followed his hike, his contributions and post-hike documents became a great resource to future TA hikers. I still found his name and resources here and there in my preparations. I am interested to find out what has or hasn’t changed in the last four years since Buck-30 did the trail. 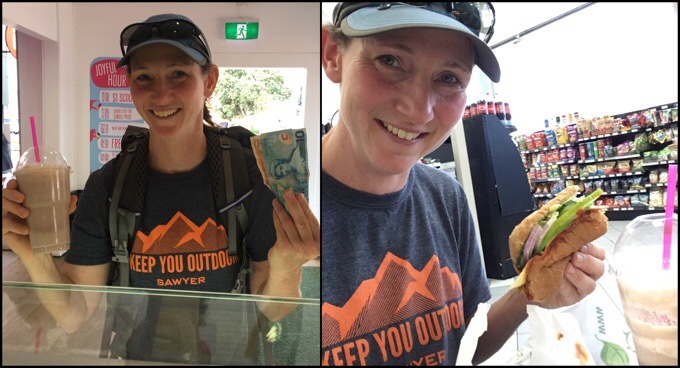 A lucky prelaunch milkshake and Subway sandwich courtesy of Why Not’s NZ cash! THANK YOU Why Not!? 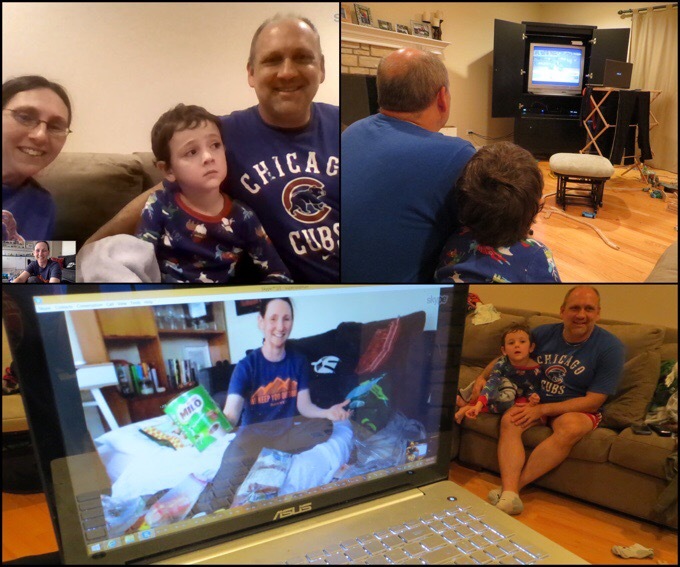 When I got back to Claire’s, I had a message from my twin sister that I could Skype in and watch the last couple innings of the World Series Game 7 game. I was born and raised in S Illinois and lived in Chicago for 9yrs before moving to Portland after college. I can’t believe this was happening the one year I’m not in the US! I realized this might happen two months ago, and texted my dad who is a die-hard baseball fan. Here was our exchange. He totally nailed it! Way to go Pops! 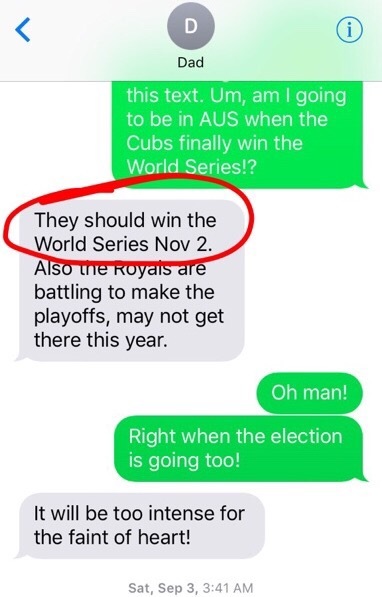 Quite the prediction from my dad two months ago! So I got to watch the end of the game with my twin sister, her husband, and her oldest son who is 5yrs old and just discovering baseball and sports in general. He couldn’t take his eyes off the intense game! Since my sister is cheap and still has a tube tv, I could only see the game well through Skype if I was propped up on the drying rack so her computer was at eye level with the tv. Gotta love technology and I am so happy that I was here in town when this happened! Organizing my resupply while watching the Cubbies in the World Series! Our dad is a big Royals fan, and they won the World Series when we were seven years old. We got to stay up late and then have chocolate milk to celebrate in the wine glasses. As you all know, the celebratory chocolate milk theme has stuck quite well into adulthood. 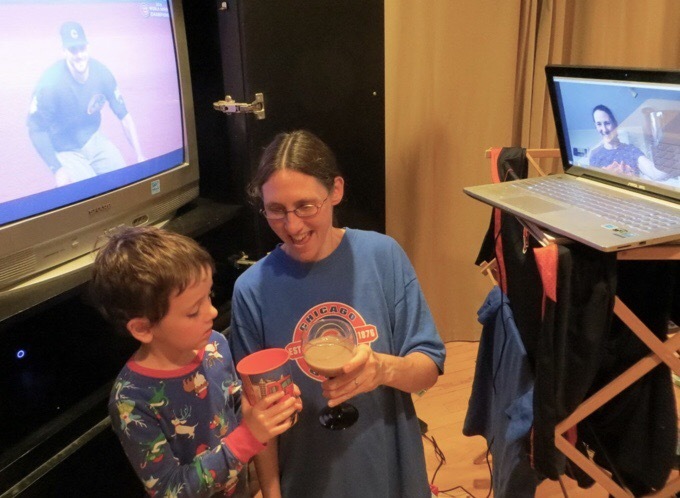 Little Lucas was up past 11pm and got to have chocolate milk with us to celebrate the Cubs winning the World Series for the first time in 108yrs! Learning to cheer to a Cubs championship with mom and aunt Erin. What a day! Tomorrow is the 6hr bus ride toward the northern tip of New Zealand. It won’t get me all the way, and I’ll need to spend the night in a hostel before setting off the next morning to hitch the final 1.5hrs to Cape Reinga and the start of the Te Araroa. More tomorrow on the TA and how I’m feeling about setting off on my longest hike in two years! Been following you for 4.5 months now. Love your blog. So cool that you saw part of Game 7. Yeah Cubs! How do you do your blog and how are you watching TV shows? I’m able to use a WordPress app on my phone and upload it when there’s wifi or Vodafone 4G in NZ. I was on wifi and also have my laptop that doesn’t go on the hike with me, but I had in Auckland. I can stream the shows or download them online. I have a friend that watches the same shows and often has it ready for me to download once I reach town. I’m glad you were able to find something to spend the $15 on. How was the milkshake? All the Americans I talked to said NZ milkshakes weren’t thick enough. I had lots of egg burgers at the dairies. Try them! I was bummed and knew it might not be as thick. Later I saw a Ben & Jerrys and wondered if it would be as thick as in the US. Also, the chocolate in AUS (and so far here as well) isn’t chocolatey enough:/ I wanted to add Hershey syrup! Te Araroa is on the top of my bucket list, I´m so excited for you starting tomorrow! Wish I could go too. Oh great! A lucky spider! Great blogpost. Hope you have a great start to the TA. And thanks for the history on Chocolate Milk. I love the stuff too, but not like you!! It does seem a bit odd that you had no idea you had a spider like that in your tent? Thanks for the next blog uploads! Very generous of you. Also, spider or bug hitcher is common. I always feel a bit grossed out when hikers mention “pack explosion in homes or motel rooms.” I wonder how infested some rooms get at end of hiking season! I’ve just been reading about the brand new Jordan Trail and I thought of you! Interesting. I have a friend on the Israeli National Trail and isn’t liking it at all. Half the trees here in England are dead or under threat because of stuff we carelessly let in or brought into the country. Power to the NZ folks, I hope they are better than we have been at protecting our land. You are going to like New Zealand Erin, it is a fine place and fine people. You are better off outside the US at election time, what a circus it is .. and what unappealing main party candidates! From the Oxford English Dictionary: Trump: (informal) to break wind audibly. this is the last post I have received from you, but I see in word Press there have been 2 subsequent ones. Not sure where the problem lies. Oh no, see if the next one comes through tomorrow and email me if it doesn’t tomorrow. 1. That spider! YIKES!!! And to think you were freaked out by that boa…that spider gives me the WILLIES!! 2. CUBS CUBS CUBS CUBS! Your dad totally called it! So glad you were able to watch! 3. Happy trails!